My 1 Year Old And I Gave ‘Woody’s Finest Hour’ A Conclusion To End It’s Massive Cliffhanger. I never thought I’d become so enamored with Toy Story. After my third son was born, he grew to became the biggest little fan of Toy Story. He would watch all three movies each day. So when Halloween was approaching it dawned on me that dressing him up as Woody was the obvious choice. At the time, I was stumped with what Halloween theme I’d do for his pictures. You see, I have a tradition of creating little stories with their images each year. Just as Toy Story 2 was once again playing on our living room TV, I had an “ah ha!” moment. Why not finish ‘Woody’s Finest Hour’? It took me many hours of brainstorming ideas. We shot the photos in two different sessions (because 1 year olds get tired). I edited for long hours, and I can’t even recall how many days I worked on them here and there. I’m a busy mom of three, so editing was something I did on my own free time. So now that I’ve got your attention, let’s get to the good stuff. In Toy Story 2—’Woody’s Roundup’ a TV show based on Sheriff Woody and his pals Bullseye, Jessie, and Stinky Pete was canceled. 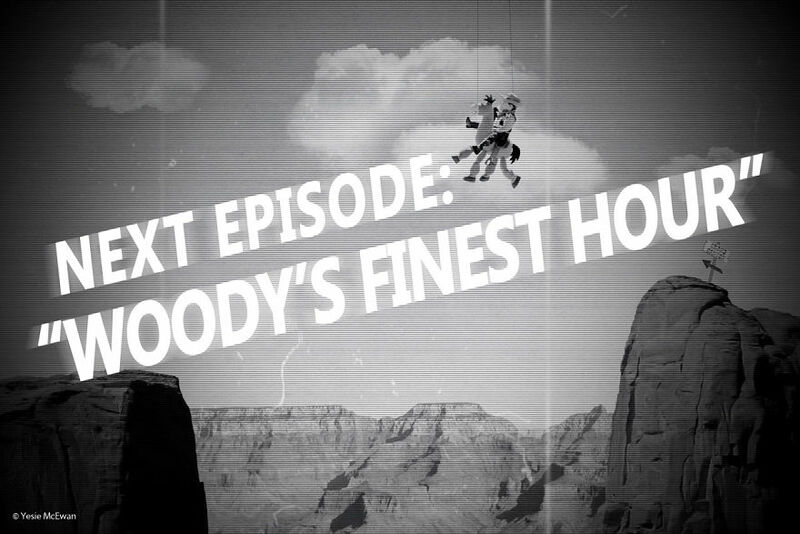 So, ‘Woody’s Finest Hour’ never aired it’s conclusion. 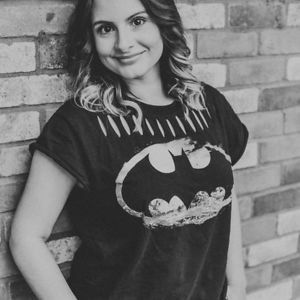 It became the shows final episode, leaving the world on a massive cliffhanger. If you’re curious to see how we continued and concluded the final episode, simply check it out below. 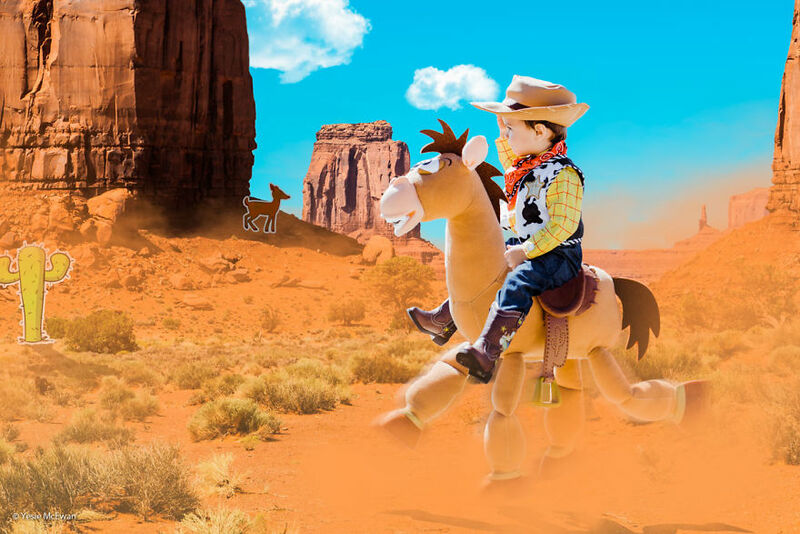 Will Woody and Bullseye land to safety? Yes!! Bullseye makes the jump! Off they go to the abandoned mine to rescue Jessie and Stinky Pete. The critters that they sent to go get Sheriff Woody returned to the abandoned mine to help. They reached the abandoned mine in time! Bullseye takes off to return Jessie and Stinky Pete to town. 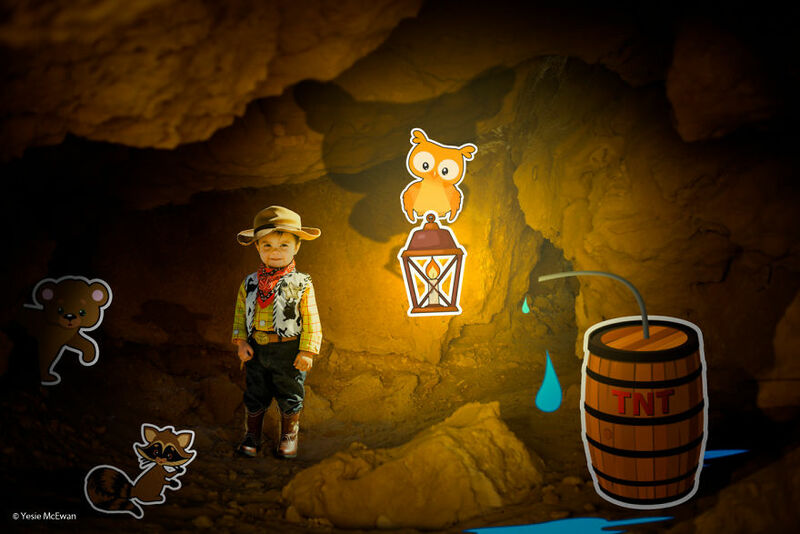 Meanwhile inside the dark abandoned mine an owl lights the way as Sheriff Woody dumps water to stop the almost blown up dynamite! Whew! That was a CLOSE ONE. Bravo Sheriff! Bravo Bullseye! Bravo critters! 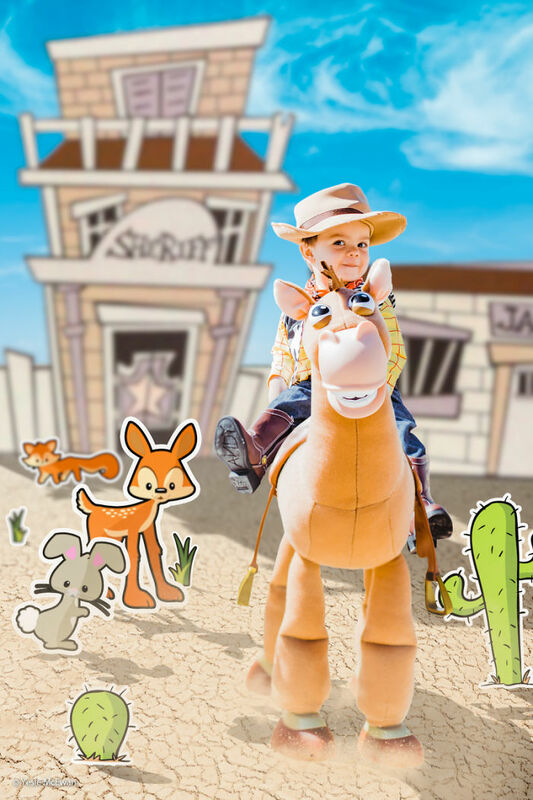 Bullseye returns for Sheriff Woody and brings him back to the station where many happy critters greet him with joy. It was a good day for this town. 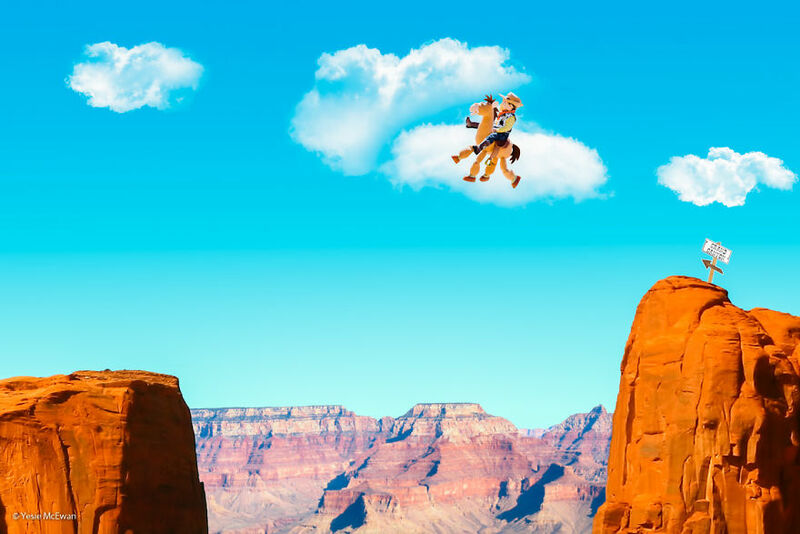 As an exciting day comes to an end, the Sheriff and his pals enjoy the beautiful view while he plays the tunes to “You’ve Got a Friend in Me”. Very well done, this is amazing!